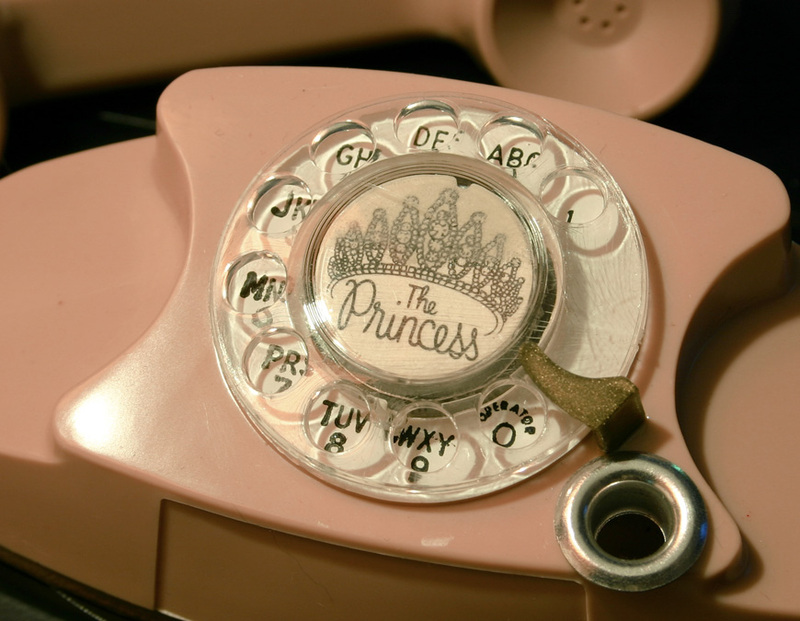 The Princess phone . . .it’s little, it’s lovely, it lights! And little it is. Proportionately smaller than my model 500 pen holder, the princess is just over four inches long…nearly an inch and a half shorter than the pen that accompanies it. Speaking of proportions, the accompanying photos show how accurate the form of the telephone really is. Though mine is light beige, I would be surprised if these pen holders weren’t also produced in the other four original Princess colors: white, pink, light blue and turquoise. 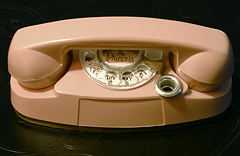 Now just how and where these spiffy little phones were distributed is unknown to me, but it appears that a nearly identical miniature was given away at the 1962 World’s Fair in Seattle. 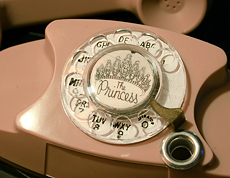 That version is marked across the handset in gold, Bell System Exhibit, Seattle World’s Fair, and doesn’t have any provision for pen holding. Given that so many telephone collectors/historians are former Bell employees, I would expect that a number of people could probably shed some light on these miniatures.